Disclaimer: Linsoul sent the Tin HiFi T3 to me for the purposes of a review here at Headfonics. The T3 currently goes for $70 on Linsoul’s Amazon.com page. We thank Linsoul for this opportunity. 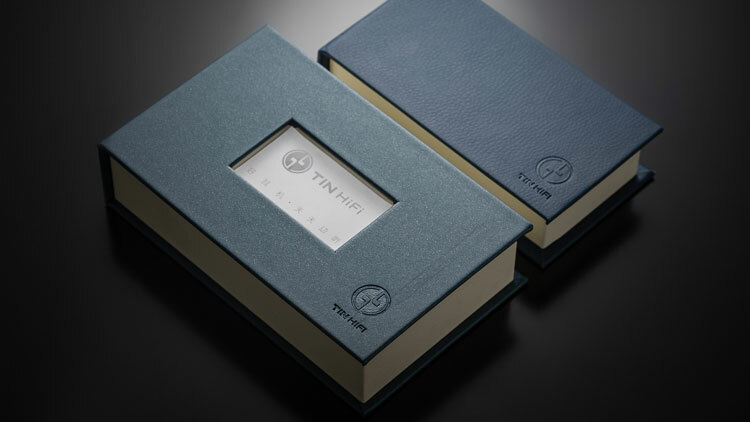 To read more about our reviews of Tin Hifi products on Headfonics click here. 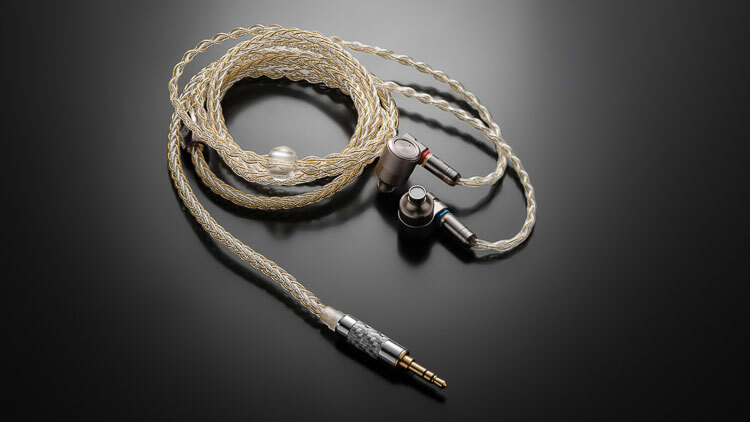 Linsoul needs no more introduction at Headfonics. Neither should Tin HiFi. There is a myriad of ChiFi gadgets and ‘whizzdoos’ at Linsoul. They range from cheap to holy $$$! As you know, I think the T2 is the bee’s knees. As you also know, I think the T2 Pro is those knees sans the bee. There’s not a lot of explanation for the T3, but I think it’s fair to assume that its 10mm dynamic driver does the lows and the balanced armature does the highs. The T3 is 16Ω like its siblings, and relatively sensitive. Thanks to a thicker cable, the neck cinch actually stays in place wherein the T2/Pro, it just dropped to wherever gravity told it to go. Like its siblings, it looks and acts like the 2013-era Astrotec AX-60 hybrid. The T3 is tough, matte, and well machined. Nary a glue splotch or scratch mars its surface. 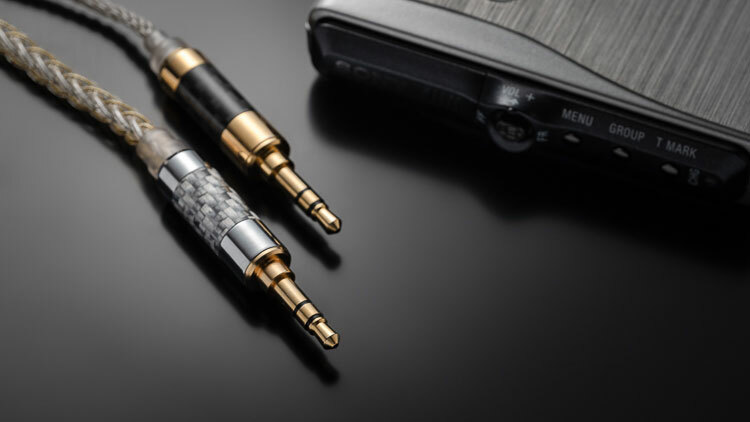 Just like its siblings, the T3 is better machined than the AX-60 and a number of high-end earphones, including Hifiman’s RE800. Also, like its siblings, the T3 is ported along the back and horn portion of the sound tube. The T3 wears a fairer shade than either the T2 or T2 Pro, and sports other flourishes – my favorite being a bevel on its face – making it easy to tell apart from its siblings. Its thick, gold and silver braided cable bears Tin’s latest logo at the y-split. Its plug is the same thickness as the T2’s, though in gold rather than silver. The short of it is that the T3 looks and handles differently to either previous earphone. 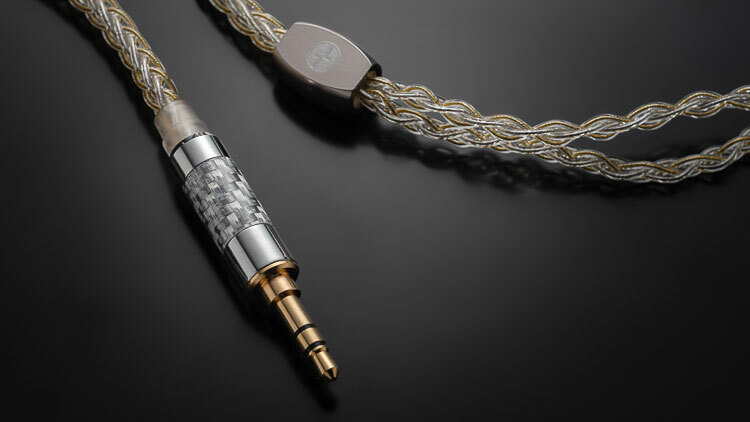 The T3’s thicker cable ensures the neck cinch stays in place. It’s the same tacky, plastic marble which clashes loudly with the T3’s other stylistic flourishes. Apart from that, very few handling differences exist between it and the T2 series. It’s possible that its cable translates less touch noise to the ear, but no T-series earphones earphone transfers much noise to the ear. The T3’s MMCX and cables plugs are fastened even more tightly than ever. Want to change cables? You’ll need fingers made of metal. Or pliers. Thankfully, the metal sleeves are straight all the way up, providing more purchase for the fingers than the taper of the T2/Pro. If your fingers are big, or moist, you’ll have a hell of a time separating the plug from the earphones. Tin HiFi stuck with the ‘multidimensional heavy plug’ nomenclature. Hello, space marines. Hello, alternate future. And the alternate past. And all the common timeframes split when we decide to turn right rather than left. Hello, Nathan from Ireland, the capital of the galaxy, (it really is – Irish Editor). Hello Marcus from the rebellion on Mars in the 1500s, BC. In no universe then or now will the term ‘multidimensional heavy plug’ make any sense in describing a faux-carbon earphone plug. It’s definitely too difficult to snap off and then on again the cable. The plastic marble is ugly. Unfortunately, the cable stretches when lightly racked. Sure, you can’t expect perfection at seventy dollars. And sure, the T3 puts most of those 70$ into sounding great. But it would have been nice for Tin HiFi to put more into correcting the ergonomic/haptic flaws of its forebears. If you got on with the AX-60 and the T2/T2 Pro, you’ll get on with the T3. It fits well, holds pretty firmly onto its ear pads, and is large enough and jut out of the ear enough to make removal and insertion easy. Unlike the T2/Pro, the T3’s memory sleeve precludes wearing it with the cable hanging down. It’s over the ear or nothing. Thankfully, there’s no metal in that sleeve, so if you wear glasses, the annoyance is minor. Despite each being ported, the T3 and its older siblings blocks out a lot of noise. I’ve got my MZ-NH1 MD player set to 1/4 volume and still, I can’t really hear my wife and daughter going totally crazy to The Cure just meters from me. (By the way, I’ll be going to see them play at Fuji Rock in July.) And, they block outside noise well enough to keep music to moderate volumes even on the train. The T3 comes in a larger display box than the T2/T2 Pro. 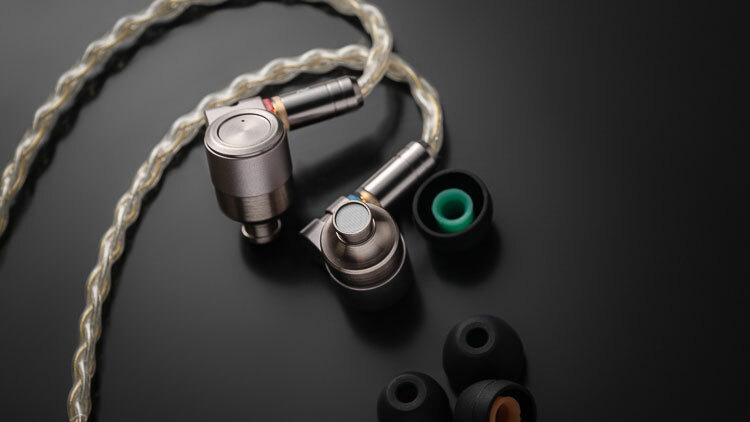 All three models lack a carrying case, filter inserts, and ear hooks. Its larger box comes packed with similar ear pads, this time with grey, rather than blue, foamies. The mix of six silicon and two foam tips is good. The silicon tips are cheaply made, finished unevenly, and the dark ones can be abrasive to sensitive skin. The foam pieces are much more comfortable. Alas, they’re grey, which, in short order, may turn sickly yellow or green. 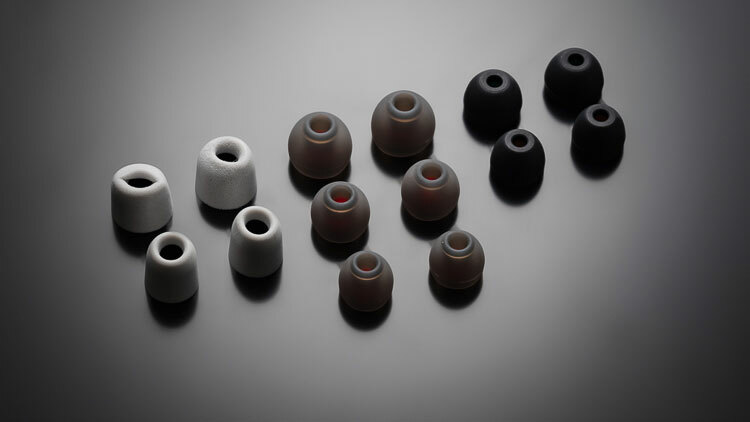 The T3 comes with six silicon ear pads, three sets in a red core, three sets in a greyish green core, and two pair of grey foamies. 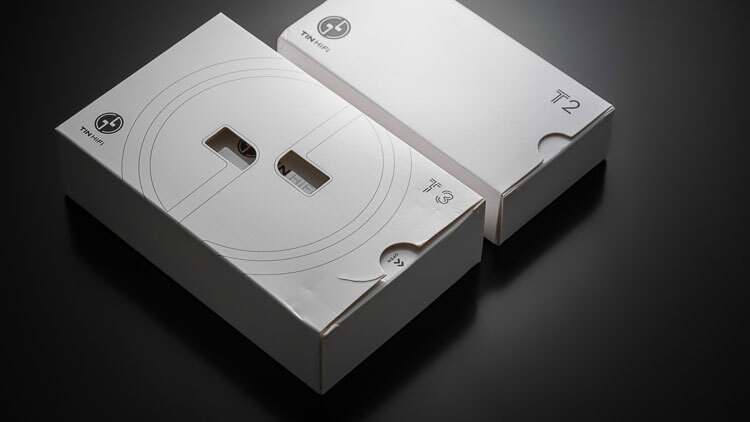 The T3’s box sips out of its cardboard sleeve more easily than the T2 and T2 Pro, which just about required pliers. It’s still the sort of box you’d expect to house a wannabe upscale ballpoint pen set. Because it’s not crammed too tightly as its siblings are, the earphones don’t stick to the literature. Alas, the foam insert still smells like a chemical factory. The T3 clings to the T2’s signature. That is, it is neutral-cleaving with a mild v-shape frequency response, and of course, its highs are bright. Mids are powerful, spacious, and responsive. Highs, which are are brighter than the T2, are free of sibilance. The main difference in relation to the T2 is a sometimes-rubbery vocal range and wetter high-frequency reverb. The T3’s mids are also a bit recessed next to its high range, at least in comparison to the T2. Apart from that, it is the T2, which is as good a thing as can be. At first blush, the T3’s wetter mid/high mids and high frequencies make it sound stuffy in comparison to the T2. But after a bit of listening, the T3 shows really good, round-edged stereo fades with good environmental cue echoes that open it up on a z-axis to a degree the T2 doesn’t. In contrast, the T2’s drier high-frequency fades reveal less of a recording venue and ultimately feels flatter. Both spread as wide as the shoulders, with decent height and can push as far into the Z-axis as an extended elbow. The T2’s more forward midrange makes general instrument bands feel fuller, but airy, high-frequency details that define the size and shape of the recording venue, push through better through the T3. Against machine tests, the bass is mildly elevated, but not enough to yawn open the opening seconds to Marcus Schulz’s Mainstage, and therefore, at the ear, may seem south of neutral. Instead, those seconds only faintly flutter open. That means that they are slightly more reactive to bass input than the Hidizs MS1 and far less than the Hidizs MS4. I see no real difference to the T2 and T2 Pro where bass response is concerned. However, the T3’s low-frequency stereo spread is wider than the T2’s, mildly softening the pressure at the ear, and cooling bass sound signature. Low-range texture detail is good but holds back a bit of texture. It is anchored wide, with bass cues hitting as far apart as the shoulders, but generally anchoring below the jaw and going as wide as the neck. This also makes the T3 feel more open but within the confines of both extreme frequency ranges. The T3’s mids are mildly recessed in comparison to the T2’s. Highs somewhat eclipse melody and vocal sound pressure. Because the T3 isn’t sibilant in the slightest, it is much nicer listen with clearer mids than the T2 Pro. Like the T2, if you want better clarity and a more temperate midrange, you’ll have to pony quite a bit. In fact, the Hidizs MS1 and the T3 compare well in the mids in both detail and sound pressure. What the T3 does more nicely than the T2 Pro is keep a lid on upper midrange heat and sibilance. The transition from the mids to highs is clean and clear of ring and splash artifacts. Back to back, the T3’s percussion is glorious: full, fast, spacious, and clean. The T2 Pro’s is all of those things, plus a lot of sibilant edges, making it a horrible stablemate for rock, live, and anything with clashing symbols. Being wetter, fading vocal edges take on more of the recording atmosphere, which sometimes sounds sweet, sometimes a bit rubbery. Either way, I prefer T3 vocals to T2 vocals, and, thanks to complete absence of sibilance, to the T2 Pro. I was astounded by how shiny the T2 Pro sounded. Then I was astounded by how sibilant it was. As a treble head, I was heartbroken. The T3’s elevated treble is spot on. It is open and atmospheric, and completely free of the deleterious artifacts that, for me, ruin the T2 Pro. If elevated highs mean ‘open’ or ‘detailed’ to you, the T3 will sound more open than the T2. For me, the wetter reverb spatially defines the stage and venue in an almost obscene pressure detail. Chimes are super clean. Percussion sometimes splashes, but in general, shimmers accurately fade to nothing, and at speed. Like the T2 and T2 Pro, the T3 only barely hisses with moderately noisy sources. That is, it only barely hisses with a late-generation Sony Hi-MD recorder like the MZ-NH1, or a relatively hissy DAP like the FiiO M6 or Cowon Plenue D.
Hissier players like the MZ-R55 are still bearable, but hissy and ‘whistley’ player-only MD units like the MZ-E33 and MZ-E55, are too much. Depending on the amount of treble activity in a recording, the T3 can seem louder, or quieter, than either the T2 or T2 Pro at the same volume. Overall, it feels a bit less sensitive than the T2/Pro, but only by the smallest of margins. The short is that any DAP and any smartphone and any MD player will get the T3 loud, and unless its internal amp is really, really bad, the T3’s sound signature will come through loud and clear. The MS1 gets about as treble-hot as the T3 in live music. Both are free of sibilance, and absolutely more listenable for live recordings than the T2 Pro. The MS1 has similar at-the-ear levels of bass sound pressure, but its midrange is neither as lively nor as bright as the T3. As a result, it isn’t quite as engaging. Totally going for it are its better/sturdier cable, packaging, branding, and fit. Also, its low-frequency band has wider imaging and retrieves greater texture detail. 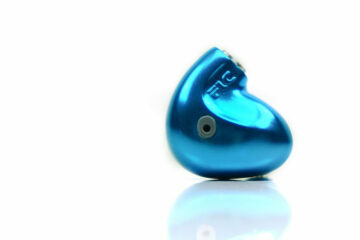 To be honest, if Tin HiFi put as much effort into the T3 as Hidizs put into the MS1, it would go for more than 100$. What it does right is provide a sound signature that’s better for the treble head than the T2, which cleaves closely to the basic audible aesthetic of the MS1, but which compromises on fit, finish, and accessory quality. Both the T3 and the MS1 are superior to the T2 Pro, which is too damn sibilant, but which otherwise, this treble head loves. Like the T2 and T2 Pro, the T3 suppresses middle-weight hiss. And, it accentuates highs. If your source is neutral, you’ll get a lovely extension and shine from everything from percussion to strings, and vocals are crisp and bright. Pairing the T3 with darker sources will liven them up, and, thankfully, the T3 reacts well to EQ. It is easily driven by almost any source out there. For 70$, The T3 shines- just maybe not that much against the amazing T2. Its cable is free of touch noise, but it stretches easier and feels weak. The box is cheap. The earpieces are cheap. The neck cinch is cheap, but this time at least does its job. Every criticism I have of the T2 clearly applies to the T3, but because it goes or 20$ more than the T2, those criticisms stand out more. Yes, I prefer its sound. Yes, I would pay more for that sound in a nicer package. But so too does the T2 sound great. And it’s 20$ cheaper. Sure, those 20$ define a slightly different sound signature, but I don’t think the T3 does anything objectively ‘better’ than the T2. The T3’s neck cinch works, but its cable feels weaker than the T2’s cable. Its packaging stinks just as chemically, but it’s not horribly as are the T2 and T2 Pro boxes. The problems I had with the T2 and T2 Pro’s accessories and packages apply equally, though are differently distributed in the T3. To these ears, the T3 sound better, but the T2’s drier approach is also spot on. The T3’s major audible pluses are its clear and wide, stereo spread, its amazing atmosphere, and how speedily it disposes with fading rings and echoes. For treble heads, this is the Tin HiFi to own. But for regular folk, the T2 is still gold. Bassheads, Tin HiFi still have nothing for you. Nice review….couldn’t have agreed more! 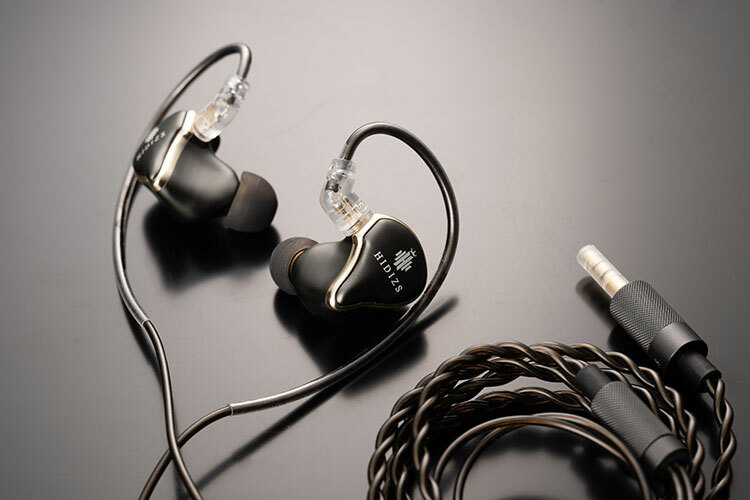 However, Tin Hi-fi does have bassheads covered too with their T1 model which houses a single 12.5mm dynamic driver and the iem looks like a rip off of the DITA Answer…….but costs just 30$ !It sounds relatively flat to the signature but has a bigger bass impact in terms of weight and quantity!